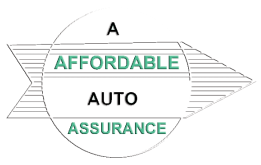 A Affordable Auto Assurance is a independent insurance agency dedicated to providing clients with the best insurance solutions possible. Give us a little information about yourself and we will find the insurance that best fits your needs. Also see our forms for Auto, Home & Motorcycle Insurance. At A Affordable, our goal is customer satisfaction! Get a Free Instant Car Insurance Quote! Welcome to our website. We hope you find the information you need here but if not please give us a call at 561.965.0733 or 561.686.5700. We are always happy to talk to you or feel free to come by our office. Call for a free quote today at 561.965.0733 or 561.686.5700, or give us a little information about yourself on our Instant Auto Insurance Quote Form to see a comparison of the low rates and down payments we can offer you on superior coverage. Need protection for your Mobile Home, RV, or Motorcycle? A Affordable Auto Assurance can help you find the best insurance coverage in the industry.